Acid reflux is a common condition that features a burning pain, known as heartburn, in the lower chest area. This happens when stomach acid flows back up and re-enters the food pipe. This causes the acid to travel up instead of down and generates that familiar, and painful, burning sensation in the chest. Oftentimes acid reflux, and/or heartburn, is joined with indigestion, difficulty swallowing, and bloating, among other symptoms. Acid reflux is attributed to multiple causes and there is a multitude of treatments to help lessen the problem and its symptoms. Before you reach for one of many “big pharma” solutions, please consider one of the most popular (and effective) alternatives: essential oils. Acid Reflux Essential oils are nature’s way of helping to reduce acid reflux and, when used correctly, can outperform man-made pharmaceuticals. In your stomach, digestive enzymes are produced to help break down food particles. It is how you are able to digest. Heartburn, the main symptom of this indigestion, happens here in the stomach. 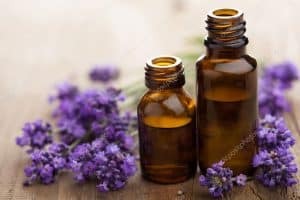 With this in mind, you can see that, as opposed to inhalation or topical applications, essential oils for acid reflux are going to need to be ingested in order to find relief. If you have experience heartburn just once or, if you are a long-time sufferer of this condition, you know the worrisome and foreboding feeling you get before dinner. Is this going to be the dinner that I get heartburn, or will it be a meal I can experience pain-free? With the use of a number of essential oils, you might be able to alleviate, not only heartburn but the worry altogether! Several of these essential oils can be used to create a warm and effective beverage that can actually help ease acid reflux, indigestion, and heartburn. The warm water itself can help aid in the soothing effects, as it helps to relax the muscles in your stomach lining and prevent some of the spasms that are known to contribute to acid reflux. There are several oils that can help, so it is good to experiment and find out which one works best with your body’s chemistry. Along with the oil of your choosing, the warm water and saliva production should offer the proper stomach acid dilution for a pain-free evening. GERD is short for gastroesophageal reflux disease and is a moniker assigned to those that have continued issues of acid reflux and its accompanying symptoms. If you suffer from acid reflux, occasional indigestion or, especially, GERD you already know how distressing and even physically agonizing these conditions can be. The good news is that there are effective ways to treat these digestive issues that are safe, natural, and without potentially destructive side effects. The below essential oils have been found to be very helpful in treating stomach problems brought by acid reflux, heartburn, indigestion, and GERD. Pay close attention to how each is to be administered and don’t be afraid try them all to find the remedy that is right for you. Each has been known to help alleviate unpleasant gastrointestinal symptoms. 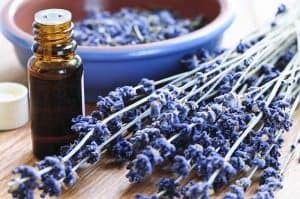 Lavender oil is not just for candles, soaps, and perfumes, it has also been relied upon for centuries for its soothing and calming characteristics. This makes it a popular choice for all-natural stress relief. And besides it being a well-known sleep aid, it can also be quite effective when used to treat indigestion and heartburn. Lavender oil is so effective, it can be ingested or even applied topically to help reduce bloating, acid reflux, and other uncomfortable symptoms associated with GERD. A natural sedative, this essential oil helps to promote a restful night for those staying awake with digestive pain. Lavender is a very versatile tool to effectively combat symptoms associated with acid reflux. If you are looking for an overall soothing experience, distribute 3-4 drops in a steam diffuser or apply directly into a warm bath. If you are finding yourself up at night with gastrointestinal issues, an effective remedy is to add a few drops to a generic spray bottle with water. Lightly mist your pillows and sheets and get ready to experience a restful night. If you are suffering from chest pain and/or bloating, dilute the essential lavender oil with a carrier oil, such as almond, jojoba, or the ever-versatile coconut oil. Then apply directly to your chest and stomach for instant relief. To deter acid reflux entirely, apply a drop of therapeutic-grade lavender old to the back of your tongue or add to hot water, or even your preferred herbal tea. For best results, ingest one of these methods directly after eating to improve your digestive process. Lemon oil has long been used for it antibacterial, anti-inflammatory, and antioxidant characteristics. An added bonus is that it tastes and smells good. This essential oil can destroy unwanted bacteria and help your body produce mucus which is your own natural defense against acid reflux and aid in soothing the symptoms and the prevention of stomach ulcers. Once metabolized, lemon oil shifts to become alkaline in nature. This permits it to neutralize the troubling acid that is causing you issues. Besides this neutralizing effect, essential lemon oil cleansing the body of toxins and remaining acids, thereby facilitating a healthier digestive process. Lemon is versatile and can be inhaled or ingested. The most common method is to add 3-5 drops to a diffuser and bask in the refreshing and uplifting scent. Another tried and true method is to add a drop or two to a glass of water. Consume this healthy beverage throughout the day for ideal digestive performance. Another, yet just as effective option, is to add a drop of lemon oil to a mug of warm water. When you sip this blend 30 minutes before each meal, you are prepping your digestive system and encouraging the prevention of heartburn and bloating. For quicker relief, place 1-2 drops directly on your tongue. Ginger is another essential oil with a long history of soothing digestive issues. This popular ingredient has been a vital part of digestive teas and tinctures for centuries due to its capacity to hinder the production of acid and discourage the development of harmful bacteria. It is often used as a natural remedy for disorders such as gas, motion sickness, nausea, and more. Should you be a sufferer of acid reflux and any of its accompanying symptoms, ginger oil is a clear favorite for many. Similar to lemon oil, ginger oil is a potent fix for the reduction and prevention of stomach ulcers. Studies have also shown it to be an effective cure for the uneasiness associated with GERD. Like lemon and lavender essential oils, ginger oil can be used in conjunction with a diffuser to help soothe nausea and even deter feelings of anxiety. Where it really shines, however, is its ability to be used as a topical solution. When diluted with a carrier oil, such as almond or coconut, it can be a potent remedy for bloating and cramps when applied directly to the affected areas. Ginger oil combined with herbal tea or even hot water creates a soothing and comforting drink. Simply stir 2-4 drops of oil into hot water or your favorite tea and drink 20-30 minutes before meals for optimal results. If you do this consistently, it will help your body to deter heartburn and its accompanying symptoms, all while encouraging digestive health. Organic peppermint oil runs the gambit in healthy properties when you consider its anti-inflammatory, antiseptic, and anti-spasmodic properties. Plus, this incredible oil smells and tastes great! With this versatility, peppermint oil can be used to improve a myriad of symptoms, including heartburn, nausea, bloating, and stomach pain, all while promoting overall your health. When approached as a topical solution, its cooling and tingling effect can serve as a natural muscle relaxer, making it quite effective against cramping and symptoms attributed to excess gas. It is vital that you are aware that peppermint oil is potent, as it tends to contain a higher level of concentration than other essential oils. It is important that you use caution when applying or ingesting this product. If you choose to use it as a topical agent, be sure you are generous with your carrier oil. Should you make the mistake of ingesting more than you should, you can find that it actually induces heartburn. Moderation is vital. For fast-acting relief, apply the diluted peppermint oil, along with your favorite carrier oil, to your stomach. Another popular combination is to add one drop of peppermint oil, combined with ½ teaspoon of organic apple cider vinegar, and one teaspoon of honey to a cup of warm water. Orange Essential Oil is a very popular essential oil for treating indigestion and is also commonly used for constipation and bloating, as well as other symptoms related to acid reflux and GERD. This tasty and aromatic essential oil can be ingested or used as a topical agent. It’s a great drink to sip after dinner and is actually very tasty. Take four drops and mix with one teaspoon of grapeseed oil as the carrier. It can also be applied directly to the chest, which some people report offers them relief. Eucalyptus is a powerful essential oil that has shown to be beneficial in the treatment of acid reflux and its symptoms. This essential oil contains most of the properties of a typical volatile oil. It is obtained from the fresh leaves of the eucalyptus tree. Like other essential oils, this potent oil can be ingested or used topically. It is especially effective when used topically in conjunction with a carrier oil. Mix 2 drops of Eucalyptus essential oil, 3 drops of peppermint essential oil, and one teaspoon of carrier oil together. Some good carrier oils are fractionated coconut oil, olive oil, and evening primrose oil. Rub the mixture over the chest and lower neck area and massage the area for a few minutes. Oftentimes, we get too involved with treating the symptoms and ignoring the causes. Yes, essential oils are a highly effective and natural way to lessen the effects of heartburn and acid reflux. But it is important to consider ways to deter it from happening in the first place. The number one deterrent to heartburn is eating slowly. For those of us who are naturally fast eaters, this can be a challenge. When you eat too fast, you swallow air and this can cause hiccups, spasms, and belching – all of these having the possibility of contributing to acid reflux and heartburn. Sometimes the food is so good that eating slowly can be hard for all of us. Try this: chew more or even set a goal of how many times you should chew before swallowing. Another tactic is to set down your knife and fork between bites. Some people even use smaller forms of cutlery saying that the psychological effect is helpful in eating more slowly. In the hustle and bustle of today’s environment, we often forget to relax after we eat. Take time to enjoy your food and deter mindless eating by focusing on your plate. This means no TV, phones, or computers. While you are at it, consider your posture as you eat. You should avoid slouching and especially eating while lying down. All of these can contribute to pushing stomach acid back up your esophagus. Speaking of hustle and bustle, stress is another factor that can encourage acid reflux. In general, try to eat healthily, drink more water, exercise, and meditate. Meanwhile, when you eat, try to be relaxed and focus on the meal and not the next task at hand. Finally, consider what foods might be causing your discomfort. Some of us are sensitive to foods we enjoy, and this sensitivity can increase later in life. Foods that previously did not cause any issues can now become the culprit of your pain and uneasiness. Should you try all of the above with no positive effect, please consult with your doctor. However unlikely, GERD, acid reflux, and heartburn, can be an indicator of a more serious and underlying condition.